Favorite classic and contemporary hymns of praise. Just a few seconds—that's all the time it will take for this exquisite new instrumental CD to captivate you. From there, the piano virtuosity of Phillip Keveren will transport you into a world of musical beauty with ten of your favourite classic and contemporary hymns of praise. Deftly weaving solo piano with symphonic strings, these richly imaginative arrangements will take your breath away, inviting you to shed the cares of the day and lift up your heart to God in worship. Beloved tunes such as “My Tribute,” “Just as I Am,” and “El Shaddai” take you through an array of musical styles and moods, from classical to rock and from the contemplative to the exuberant. 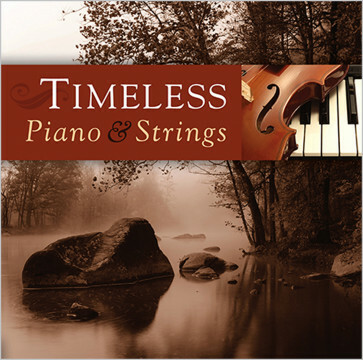 If you love piano and instrumental music, then you don't want to be without Timeless: Piano and Strings.